Overview: Yao and Mien are synonymous terms for a group of peoples living in scattered mountain communities across southwestern China. 'Yao' was adopted as the official minority name by the Chinese government in 1949, but 'Mien' is widely used among the people. 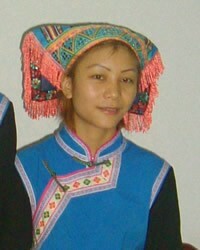 Culturally, they are very close to the majority Han Chinese people. Traditionally they work as upland farmers, though many have migrated to urban centers and quite a few have immigrated to Vietnam, Laos, Thailand and the United States. Most of the Yao-Mien peoples practice Daoism with a mixture of animism and ancestor veneration.